These common birds were sighted in the early mornings and evenings spent birdwatching during my short weekend stay in Hong Kong end of March 2014. Would have loved to go Mai Po Wetlands to spot the rare Black-Faced Spoonbill but time was not on my side during this trip. It was a very short weekend indeed that was spent in Hong Kong, mostly in Kowloon Tong area. The main purpose was to spend time with my sister, my brother-in-law, niece and nephew who are based in Hong Kong. Spotted Collared Starling above when visiting Po Lin Monastery in Lantau Island, HK. 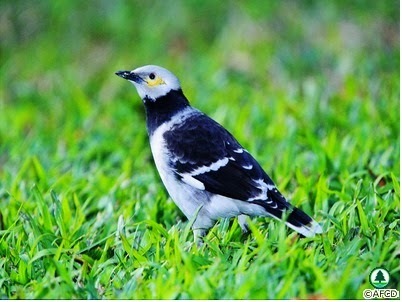 Collared Starling picture from Agriculture, Fisheries and Conservation Department, Govt of Hong Kong, SAR. 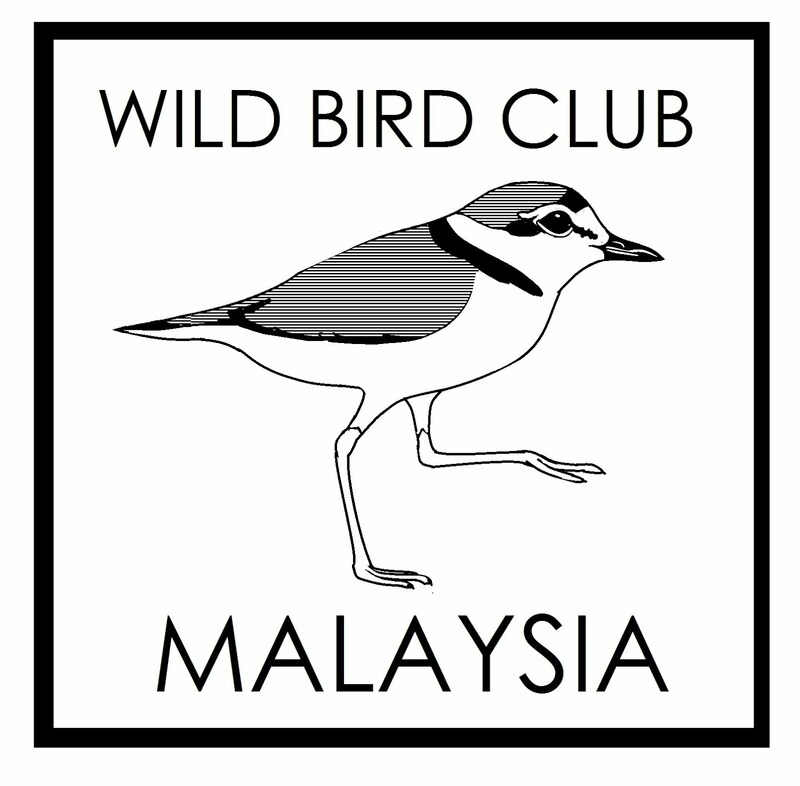 More details of this bird can be viewed at AFCD website. Saw White Wagtail above flying around before landing onto the sands at Stanley Beach, Hong Kong. It was busily running along the far edge of the beach, bobbing its tail. 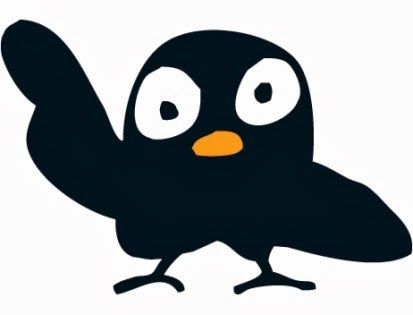 AFCD website has more details about this bird. 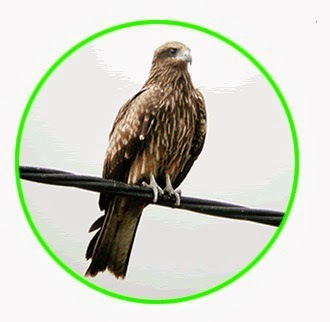 Black Kites were seen soaring all over Hong Kong Island on that Saturday morning when my brother-in-law drove towards Stanley Beach area from Kowloon Tong. A pair of Black Kites circled for quite a long time when we were at the beach. These Kites flew really low at times and were just above our heads. 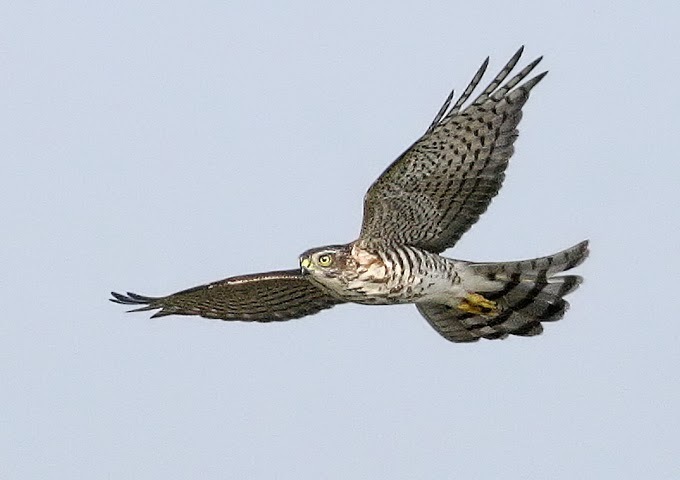 Picture from Leisure and Cultural Services Department of HK website which has more details about this raptor. Also saw a white eye with a very yellow throat near Red Hill Plaza Tai Tam, on the way to Stanley Beach. 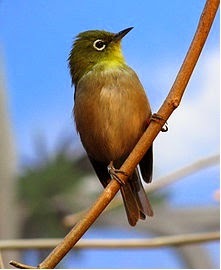 Read my guide book and confirmed my sighting of the Japanese White-Eye. A Lifer for me! Picture above from Wikipedia. Seeing these common birds was an added bonus to this trip. 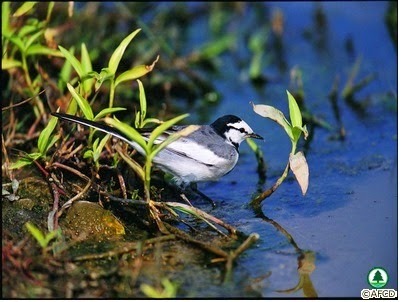 Will share common birds of Hong Kong which I saw at the gardens of Kowloon Tong in Part 2! 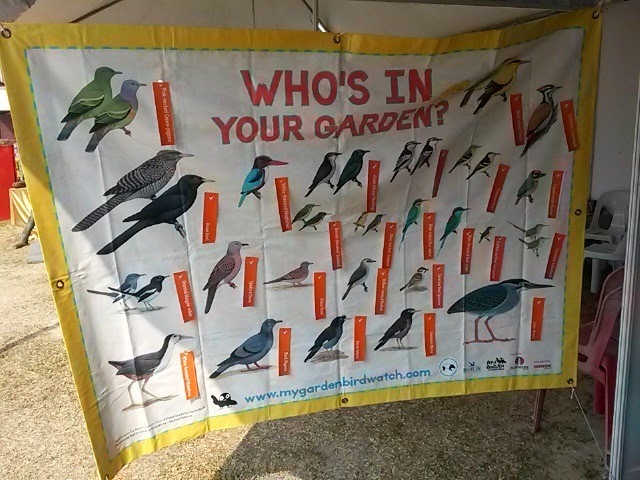 My Garden Birdwatch exhibition booth had a huge canvas poster which also works as like a "Pin donkey's tail" game. One had to place the correct bookmark on each species of bird commonly found in garden. 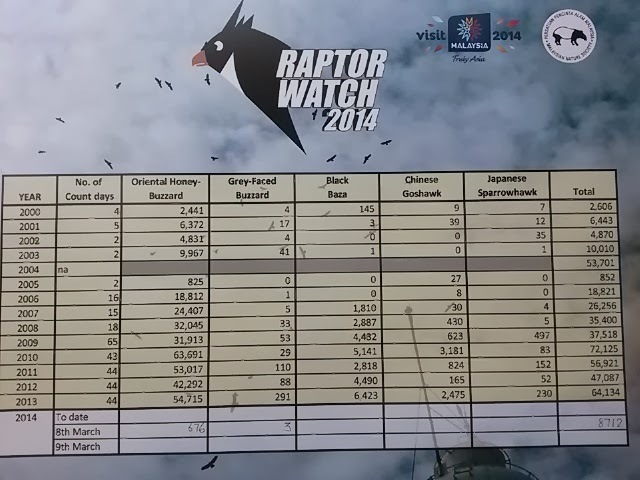 The Raptor Watch count board was very informative. Bird of prey species sightings were jotted down on a daily basis. Such diligence! Italian ice-cream in Port Dickson at Tino's Pizza. 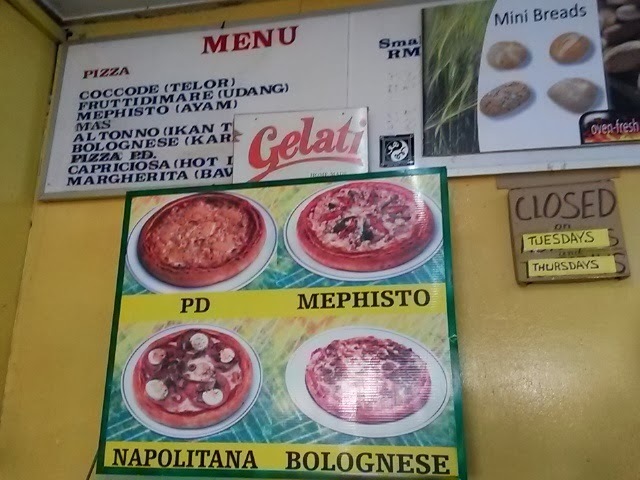 Menu was in Italian with the BM version in brackets:) Tino's is closed on Tuesdays and Thursdays according to the cardboard sign below. 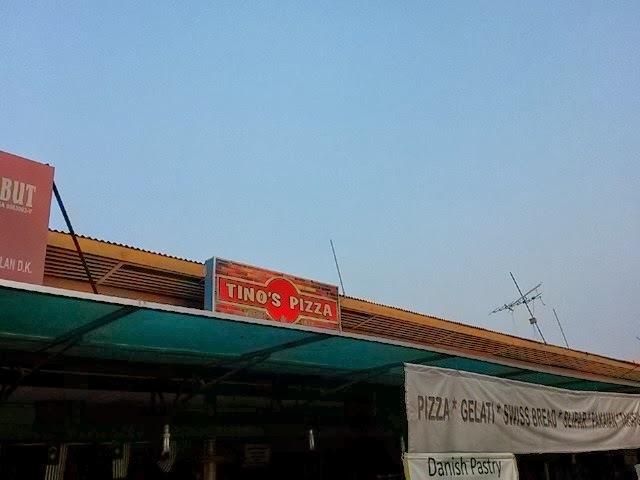 Was very pleased that this Italian pizza and ice-cream joint was still around when my friend and I reached Port Dickson! 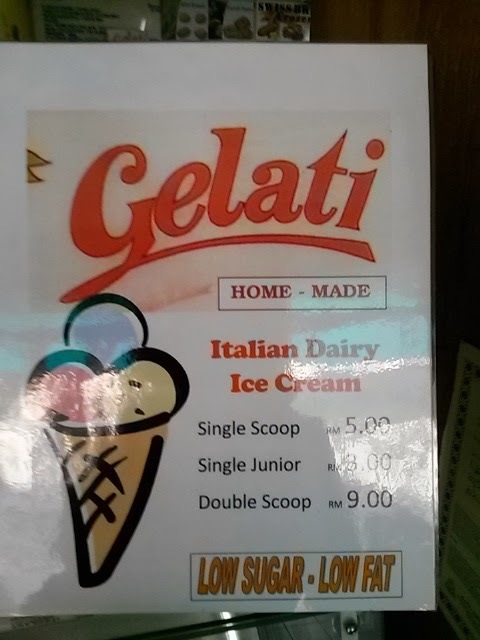 Gelati in Port Dickson capped a fine end to a day of "raptor" watching in Tanjung Tuan, Malacca during RWW 2014.